Memories can be reactivated during sleep and strengthened in the process, Northwestern University research suggests. By using EEG methods to record the brain’s electrical activity, the researchers ensured that the soft musical cues were presented during slow-wave sleep (deep sleep, not REM sleep, or dreaming), a stage of sleep previously linked to cementing memories. 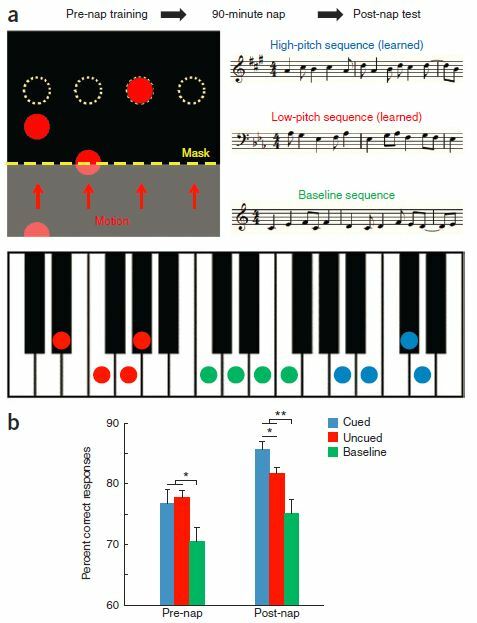 Participants made fewer errors when pressing the keys to produce a melody that had been presented while they slept, compared to the melody not presented.